The Dragon Ball Z art books are the center of a lot of DBZ collections. They have original sketches and concept artwork from Akira Toriyama himself. Just released in Japan a new one called Dragon Ball Ultra Complete has over 400 drawings from 1985 to 2013 contained in a 240 page book. 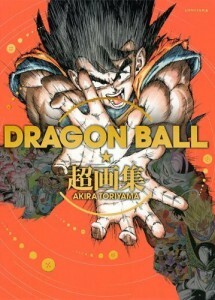 The book is online in Japan for about $40usd but is now selling online for over $100. An English translation is expected to be released later on this year.